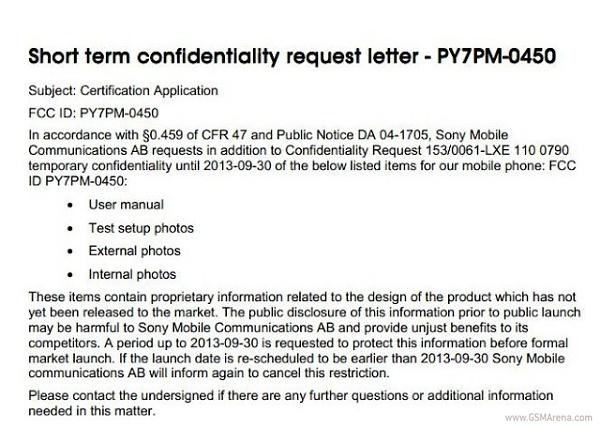 Sony Xperia Honami has appeared in front of a camera a few times already and now the upcoming cameraphone from Sony has made a visit to Federal Communications Commission. According to the FCC report, the Sony Xperia Honami will be announced before September 30 and the smartphone is expected to hit the stores by the first week of October. The Sony Xperia Honami is rumored to sport a 5-inch Full HD triluminos display with the X-reality engine. Furthermore, the smartphone is said to feature a 2.2 GHz quad-core Snapdragon 800 processor along with 2 GB of RAM, 20.7 megapixel rear camera with Sony G-lens and BIONZ image processor and 16 GB of inbuilt memory that can be expanded via microSD card slot. Sony Xperia Honami is said to be IP57 certified, which means the smartphone will be completely dust-protected and has the ability to withstand a meter of water for 30 minutes. The connectivity options for the Xperia Honami include Bluetooth 4.0, NFC, Wi-Fi and supports GSM/UMTS/LTE networks. Lastly, the Sony Xperia Honami is rumored to run on Android 4.2.2 Jelly Bean and the juice for it will be supplied by a 3,000mAh battery. The latest smartphone from Sony will be available in White, Black and Purple color options. Sony is all but certain to unveil its Xperia Honami on September 4 in Berlin at its dedicated press event. 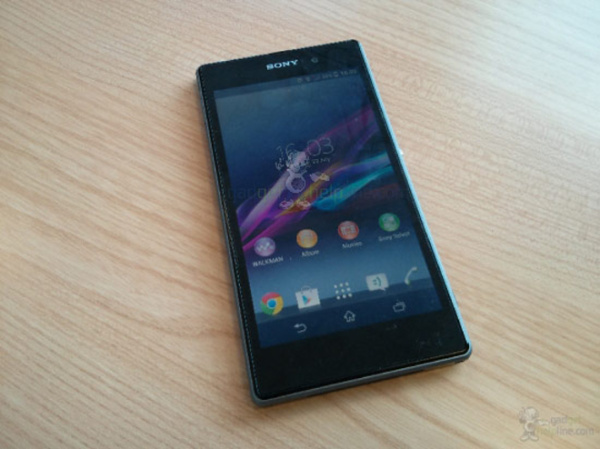 hello we have oll already sony xperia Z,And very happy.? and then we are very pleased that,is one more favorites. ?that Sony Honami Too,and süper the Android Technology .